In the world of metal we often come across bands who transcend the genre and pave the way for other artists, giving them something to thrive for. 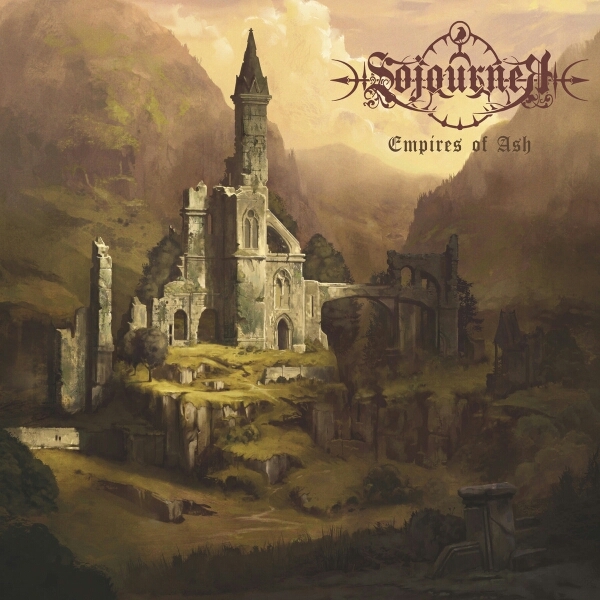 Sojourner burst into the scene after receiving extreme praise for their single “Heritage of the Natural Realm”, landing them a record deal with Avantgarde Music. Their debut album “Empires of Ash” has been highly anticipated in the underground scene and the physical release sold out quickly once the preorder announcement was made. Sojourner is a collaborative project with members spanning the reaches of the globe, from Sweden to New Zealand as well as Scotland. If you picture the beauty and landscape of each of these countries you kind of get an idea of the atmosphere that “Empires of Ash” gives off. The opening track “Bound by Blood” opens with a fantasy laden flute melody then the song explodes into the ears and you are instantly hooked into the guitar melodies and the picturesque landscapes. This sets the way for the rest of album. Distant echo like vocals give off a feeling of struggle and despair and the folk instrumentals add that extra flair. “Heritage of the Natural Realm” again brings in the folk elements whilst unleashing an even more powerful blend of blackened riffage that pays homage to the nature around us, lyrics of “She protects us ever still…” pulses through the being. “Aeons of Valor” has an almost Summoning-esque sound to it starting off but this does not take away from the sound that Sojourner brings forth. This track is wrought with melodic melodies, beautiful sweeping female vocals and I can almost picture myself standing in the midst of battle ready to accept my fate. “The Pale Host” is a beautiful song with all female vocals and is gives off a ghostly vibe that is a suitable follow up to the prior track. “In Winters cold, their ghosts I see” pays homage to the lost and the fallen. “Homeward” is the next track and it immediately gives off the feeling of sadness, as everything that has occured has been brought to cognizance. With more folk interludes this song is a brew of all the elements present here. “Trails of the Earth” is presented with a very nice piano intro as well as nice galloping Atmospheric Black Metal riffs and this is definitely a roaring track which again suits the lyrical content. The piano and flute melodies mixed with the tumultuous vocals and riffage again sets itself to the core of the genre. The final track “Empires of Ash” closes off the album in an epic way and I am left at a loss because this masterpiece is over. “Empires of Ash” is definitely another contender for album of the year and there is something special here. There is no denying the talent of each member of the band and the whole release is a journey. To me the best way to describe it is like walking the pages of a fantasy novel. You have the atmosphere, beauty, struggle, sadness, and reconciliation. Fans of Atmospheric Black Metal rejoice, Sojourner has made their mark and I am excited to see what the future holds for this band.